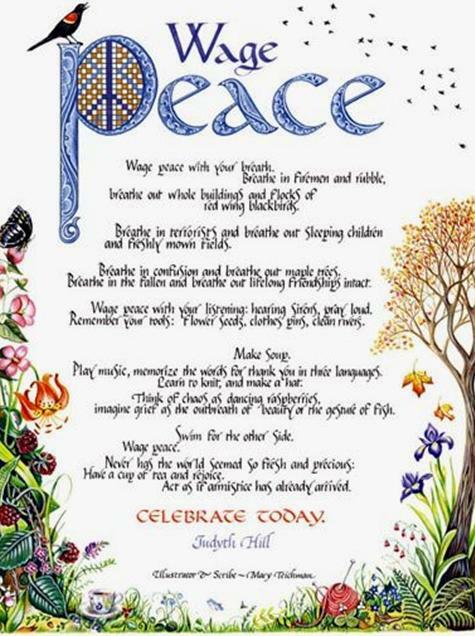 This entry was posted in My Thoughts and tagged 295 colleauges, 9/11, Judyth Hill, Judyth Hill Wage peace, Marsh & McLennan Companies, personal experience, Wage Peace by Janie Reinart. Bookmark the permalink. Very uplifting and appropriate for today!